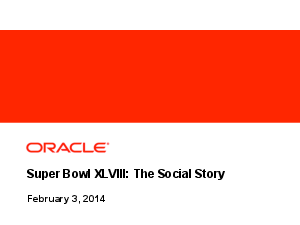 This year the Super Bowl and all the surrounding activity just didn’t live up to the hype. Despite that brands found ways to engage on social channels and extend the reach of their hefty investment. This analysis will highlight some of the ways brands used social channels to magnify their investment, driving awareness before the game, and continuing engagement throughout the broadcast.